The PVA office is a Kentucky State office with county jurisdiction. The Livingston County PVA is a locally elected official charged with assessing all property, both real and personal, that lies within Livingston County. There are some exceptions such as public service companies, bank shares, and omitted tangible properties which are valued by the Kentucky Revenue Cabinet in Frankfort. All property, unless specifically exempted by the Constitution, is taxable. Exemptions may apply to some religious, educational, and governmental properties. In addition, some individuals may qualify for the Homestead or Disability Exemption. A formal application must be filed with the PVA office before any exemption may be granted. The PVA has the right to make value changes to vehicles according to the January 1 NADA guidelines for high mileage or with estimates of repair from licensed automobile body shops. Please remember that the vehicle is assessed to the owner as of January 1 of each year and it is the condition of the vehicle and mileage that determines the value. The PVA or deputy visits all property at least once every four years as required by law. The PVA has authority to inspect all real property in the county in order to fulfill the requirements of KRS.132.450 (location, identification, and assessment). The 1992 General Assembly passed HB532 which states the PVA may inspect and measure the exterior of buildings, even if the owner is not at home. All property is to be assessed at 100% fair cash value as of January 1 of each year. Fair cash value is defined as the price a piece of property will bring in a fair voluntary sale between a willing seller and a willing buyer. 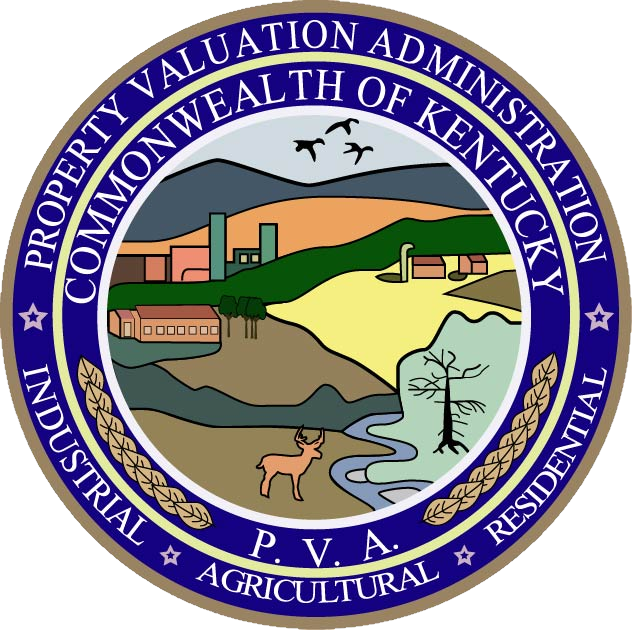 Keeping track of ownership changes, maintaining tax maps, updating building characteristics, and administrating property exemptions for real property are continuing duties of the PVA. Kentucky law provides for direct supervision of all PVA’s by the Kentucky Department of Revenue. Studies are periodically conducted on the PVA in each county to determine if constitutional and statutory requirements have been met. The PVA’s tax roll must meet required assessment levels and adhere to required standards of equity before the PVA’s tax roll is accepted, and before tax rates may be set or tax bills can be printed. Your Property Valuation Administrator’s Office DOES NOT determine how much tax you pay. We only assess the “Fair Market Value” of the property to be taxed. There are two components that determine your property bill: ASSESSED VALUE and TAX RATE. Tax rates are determined by county governments, city governments, school boards or special taxing district boards. If you have specific questions about the duties of your PVA, please contact our office at (270) 928-2524.